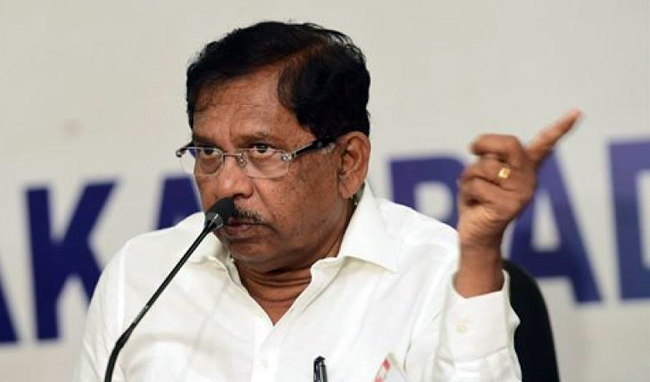 Hassan, Apr 13: Karnataka Deputy Chief Minister Dr G Parameshwara demanded Prime Minister Narendra Modi to prove his charge made against the Congress-JD(S) coalition government in the State on corruption. Strongly refuting the charge of the Narendra Modi, that Karnataka government is 20 per cent Commission government, he said that “Modi should prove his charge made on the State government”. “Let him come out with the facts and figures on which scheme the State government had received such Commission” he said addressing a Press Conference here on Saturday.